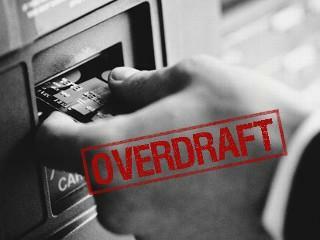 For the very first time in many years, an overdraft fee hits us! Overdraft fee? Are you #$! @% kidding me??? Posted on April 28, 2014 by Financial Underdog	in mortgage, personal finance. Overdraft fee on our account? Well, guess what. I log into Mint.com (which is the best money management website ever, just FYI) on Friday, and I see that we’ve been charged an NSF fee. What the hell? For ages, my paycheck came into our account on Thursday night. On Friday morning, our mortgage payment would leave our account. I specifically picked every other Friday for our mortgage payments just so it is the same day as payday and I knew we would have money in our account. It’s always been like this, and it never changed once. In fact, I started counting on this lately. Because we have rather aggressive savings goals this year, last few weeks I’ve been living a bit on the edge. I would move money between our checking and saving accounts trying to hit our goals rather aggressively, to the point that sometimes I would leave almost nothing in our chequing account. Out of my determination to hit our goals which borders on stubbornness, I flew a bit close to the sun. Counting once again that my paycheck will appear first in our account followed by our mortgage payment, I left our account too skinny. But this Friday Murphy’s Law prevailed, and our mortgage payment showed up before my paycheck. Boom! It doesn’t matter that my paycheck arrived shortly after. We didn’t have enough money in the account to cover the mortgage payment. And as a result, our bank refused the payment, issued an overdraft fee, and when I saw this I almost spilled coffee on myself. After all the hard lessons that I’ve had in my life when it comes to finances and preaching on my part how you should always be aware of your cash-flow, did I just cause an overdraft fee on our account? I’m not going to make up excuses for myself. It was 100% my fault for letting my stubbornness get the best of me. Yes, it’s great to have goals for your finances, and work hard on hitting them. But you should never leave your net empty, when you send your best players across the field to score some goals (yes, this is a hockey reference). This can have very dire consequences. What a perfect I-Told-You-So moment. Kill me now. – $45 overdraft fee courtesy of President Choice Financial (our checking account) already been charged. – $75 NSF fee courtesy of Macquarie Financial (our mortgage holder) that will follow. – A huge load of embarrassment for me. Is this what crow dinner tastes like? Yuck! Fueled by my own embarrassment, I jump on the phone. Obviously, I can’t just ignore this rather negative event, but I also know that if I’m pro-active, it’s possible to avoid paying some of the fees. My plan is to beg for forgiveness until they stop me! First I call our mortgage company and explain the mix-up to the best of my abilities. Me: – Hello! My deepest apologies, but it seems to me that we’ve bounced a payment this morning. I just wanted to let you know that I’m truly sorry about it, and you can already debit our account for the full amount. Very nice CSR: – Oh, I see. Thank you for letting us know and saving us time. We’ll debit your account shortly, and since this is the very first time you’ve bounced a payment, we’ll waive the NSF fee. Me: – OMG, thank you so much! Me: – Hello! I just wanted to apologize for overdrafting our account this morning. Very tired and emotionally withdrawn CSR: – Uhmmmm…ok. Me: – Any chance you can remove the overdraft fee? This is the first one on our account. Very tired and emotionally withdrawn CSR: – Not really, no. Me: – I’ve been a client of this bank for a very long time; we have a number of products in our name. What can you do for me? Very tired and emotionally withdrawn CSR: – Well, let’s see. I can probably meet you half-way. How does $20 instead of $45 sound? Me: – Not nearly as good as a zero charge. Give me a break, it never happened before. Very tired and emotionally withdrawn CSR: – Oh, fine. But next time you overdraft your account, this trick won’t work. Me: – You’re the best. Won’t happen again! – We avoid paying $120 for my stupid mistake. – Lesson #1: No matter how bad I want to hit our financial goals, I can’t live on the edge, and we should always have buffer in our daily account. Ideally, at the beginning of the month I’d like to have enough money in our account to cover all our expenses for the month. This way we never have to “time” our bills and paychecks. – Lesson # 2: You can talk your way out of some overdraft fees. Of course, this won’t work if you constantly overdraft your account, but if you make a stupid mistake once in a while, banks can be surprisingly forgiving. – Average overdraft fee charged by major banks is $34. Glad you could get them reversed. I’ve only had one NSF fee, and it was last summer when I was changing banks. I bounced a cheque to a very good friends wedding – how horrendously embarrassing. Pretty amusing now, but I was mortified. Thankfully PC said they would reverse the fee as a one time good will gesture and not to expect it ever in the future. I must say, the embarrassment was absolutely the worst. The money part isn’t that huge, but how it made me feel is just awful. Here is my wife telling me one of these days we’ll get an unexpected bill and this will cause an NSF fee if I keep doing what I’m doing – and this exactly what happens. Even our mortgage company – I know they are a faceless corporation somewhere in Ontario – but talking to them about me bouncing a payment I was truly embarrassed. Even though I explained in details this was a mix-up, I felt them thinking on the other side “Uh, we hear them all from people like you”. Thank you Alicia, and good luck with your personal finance goals. September is just few months away! I can relate to living close to the edge in the name of being “financially responsible”. For us, it’s not about aggressive savings, unfortunately – it’s about aggressive debt repayment. You’re right about the wisdom of having a buffer. I would never have thought of phoning the bank and mortgage company to beg for mercy. I hope we never need to do that – but good to know just in case. I remember the days when I lived in overdraft and when NSF was a regular occurrence. So glad those days are over. All the best in staying away from the edge from this point on! Apparently most people pay their NSF fees without questions, and that’s why NSF accounts for a VERY good chunk of banks’ revenue. But banks mostly make it from people who habitually overdraft (something I never want to know about), so in case of rare or occasional NSF they can look the other way and forgive them. Which is great, cause come on, $125 because of my stubbornness is a hefty price to pay in addition to my wife’s I-told-you-so look. I’ve also made this mistake before. Once was enough to convince me I’d never do it again. I got in touch with our bank asap and asked for forgiveness which they reluctantly gave. It is definitely an expensive lesson to learn and I can’t believe how many people do it over and over again. I’m still fixing a lot of “stupid taxes” when it comes to my finances, but I’m happy that this isn’t one of them! P.S: I had a good giggle at your use of “I’ve got this!”, I’ve never seen anything good happen after that phrase. My husband and his brother say it all the time when they play video games and run blindly into a large group of enemies… it never ends well. I had no idea the banks could reverse them! I had something similar happen to my PC account where I had three paypal payments come out on pay day. Two payments were low and well below the amount in the account ( $10-20) and the other was higher. Somehow the bank charged highest to lowest before the pay went in, so I was charged the NSF fee for the highest, which made my account below the other two, causing two more NSF fees, then my pay went in. I was so upset, but just paid it as I felt like a huge idiot. $135 just gone. I’ll have to remember your courage to call! This was the first time I called about canceling an NSF fee. While they might have agreed this time, if I did it again this week, I’m sure they’d be very reluctant about it. Most of them do value their clients and would hate to lose you as a client, especially if you have a number of products (savings, credit card, etc.). So, it’s a fine line you have to walk!